C.L.A.S.S. 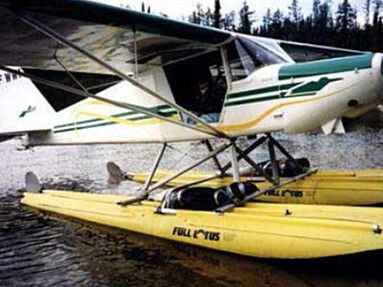 (Canadian Light Aircraft Sales and Service) are the proud manufacturers of this outstanding aircraft. The Bush Caddy was developed as a bush plane and performs equally well on wheels, skis or floats. The wide 44 to 47 inch cabin, doors that swing upwards under the wing and side by side deluxe adjustable seating afford even a 6 foot plus pilot easy access and a comfortable ride.